Today’s freebie is a flat widget music player with lyrics and simple animation. Free PSD designed by Pierre Borodin. Posted on June 1, 2013 in Free PSD, Players and tagged audio, player, widget. This post has been viewed 2637 times. A well written article including a short tutorial about creating a reading progress indicator widget. Coded by CodyHouse. 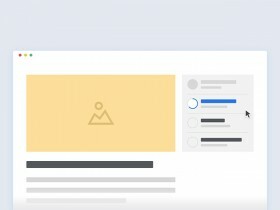 A simple tutorial by Codrops that shows you how to create a Shazam-like morphing button effect with few lines of HTML and CSS. 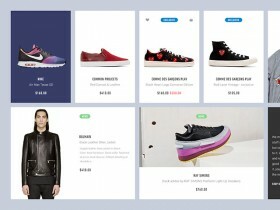 A small ecommerce UI kit made of clean and modern widget-style blocks. 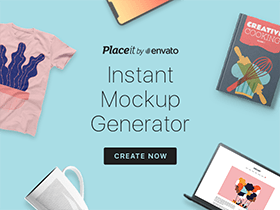 Free PSD created and released by Orthonormai. 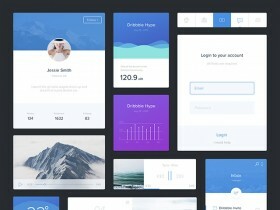 A free UI kit for Sketch including some generic, widget looking, components you can use for your next project. A freebie released by Apostol Voicu.